Those are quotation from Satyatis Das book about derivatives, from the 9th chapter : ” credit is like glue, it is the stuff that holds banks together. Everything a bank does involves taking credit risk.” The fact that credit has been the “glue” that holds banks together is quite easy to figure out. Indeed, clearing houses (chambres de compensation in French) are very important within every state to insure that credit and debit between all commercial banks are well balanced. Please see my last post about the subject. During chapter 9, Satyatis Das also stress out the traditionnal difference between commercial and investment. Usually, and even though it is less and less the cas nowadays, commercial banks are the only ones do deal directly with risks while granting credits to households or companies, as well as public entities. I can’t help thinking about what my friend – former employee of accenture – told me about investment banks : “investment banks do not need to deal with risks, it is not their initial aim. They are only comfortable with something you can trade, get in and out of. So, they designed derivatives as a financial bundle designed to transfer risk abroad, a nice product to sell and to buy to investors all over the world who don’t understand risks involved in what they were buying. During the 90s, there has been a credit war between commercial banks and investment banks because they both wanted to do the same thing. The credit war ended up with the creation of U-banks, so called universal banks which have the function of both a commercial and an investment bank. Veuillez trouver en cliquant sur le lien ci-joint le fichier du rapport d’activité annuel de Finance Watch pour 2014 (document en anglais). The year is 1977, and Doug Casey is on the road. He’s just made a pit stop in the Soviet Union. Life in the USSR is miserable. There are endless lines just for basic goods. Buying a single sausage or a tiny sack of rice can take an afternoon of searching and waiting. Apples are barely a hope. An orange would be a rumor. A corrupt and paranoid regime controls all aspects of society. Police surveillance watches everywhere. Everyone and everything belongs to the state. Privacy survives only in a person’s unspoken thoughts. Of course the “recent events” Doug refers to are the ongoing Ukraine-Russia conflict and the trade sanctions imposed by the West, sanctions the Russian economy is now beginning to feel. Trade sanctions are hurting Russia in a big way, and investors who bought Russian assets when everything looked rosy are getting hammered. Theirs was the worst timing possible. The exact opposite of the best timing possible. Smart investors would have waited until… about now, when turmoil and fear are driving stock prices down to bargain levels. Do you have a brokerage account? If so, you can invest in Russia right now. But with so much bad news coming out of the country, you’d need a very good reason for putting money into it. Here’s your reason. A double-your-money reason. Likely a triple-your-money or better reason. What the conflict in Ukraine is handing us right now is a second chance to get in on the ground floor of a huge upswing in Russia. It’s the early 1990s all over again, when most investors were paralyzed by crisis worries, when shares in the best companies were trading at giveaway prices and when contrarians picked up all the chips. To my ear, that’s financial poetry. This might sound scary and crazy, but throughout history, it’s been crises that have minted millionaires. Consider another of Doug’s stories from the road that spotlight the enormous gains you can earn when crisis makes even the highest-quality assets ridiculously cheap. I looked around and asked people what I should go see, and was told to check out the Leopard Rock Hotel. It was a fantastic place on 200 acres, with a nine-hole golf course and 50 acres in coffee. Very beautiful. The hotel had about 15 suites and was built like a castle. It was huge. Crisis opportunities like this are always popping up somewhere in the world, and for investors who look past the fear and survey the facts… the rewards can be life changing. Now, thanks to a more globalized financial system, those opportunities are easy to reach through the retail brokerage account you probably already have. Investors who do their homework are just a few mouse clicks away from the prize. Investment pioneer John Templeton had it right: “The time of maximum pessimism is the best time to buy.” Templeton knew all about buying when blood is in the streets, and using that knowledge made him a billionaire. Right now, Russia is where blood-in-the-streets pessimism is hovering. All the bad news you hear is giving you the chance to buy shares of highly profitable Russian blue chips on the cheap… like the two I’m going to tell you about in just a moment. Pessimism comes, and then pessimism goes. No matter what the US does and no matter how nasty the headlines get, Russia has enormous potential for economic growth. No amount of shadowboxing over Ukraine will change that. One reason is Russia’s $400 billion-plus energy deal with China. The first deal was reached last year, when China and Russia signed a $400 billion pact… shortly after Russia annexed Crimea. China isn’t going to abandon Russia. They need the high volume of natural gas that only Russia can supply. Russia has also sealed trade agreements with Brazil and India, which are so beneficial that the parties are now wondering what they’d been waiting for. Despite the headlines that Americans and Europeans read, the emerging markets are wide open for business with Russia. It’s the US and other debt-weary Western countries that are boycotting Russia, not the rest of the world. So that raises the question: is Russia our next crisis opportunity jackpot? And below I’m going to tell you how to get in early on two underpriced Russian stocks with the potential for juicy dividends and triple-digit gains… with shares that are easily accessible to US investors. And right now, with the situation in Ukraine pounding the Russian stock market, you can pick up your own share of this breadbasket for pennies on the dollar. This company holds an enormous portfolio of productive Russian farmland, roughly the size of Luxembourg, in a region known for its fertile black soil. It sells its products—including wheat, barley, sunflowers, sugar beets, potatoes, and corn—to processors in Russia and to foreign breweries, flour mills, and industrial-scale ranchers. PepsiCo buys their potatoes, sunflowers, and sugar from the company. It’s a solid company whose stock has been hammered by Russia’s geopolitical troubles. Its shares are now trading in the bargain basement—just the kind of crisis-born opportunity we like. Want to learn more? Full details on this company (and on a crisis-born Russian telecom opportunity that I’ll tell you about in just a moment) are waiting for you in the just-released edition of Crisis Speculator. You can receive the full story on a no-risk basis just by taking Crisis Speculator on a no-risk test drive for 90 days. To find winning speculations, go where you see investors rushing for the exits. When a crisis hits, stock prices fall into a ditch. When you “buy panic” in out-of-favor markets, you position yourself for huge returns. My point is… massive fortunes have been made by speculating in crisis markets, when cool-headed investors seized opportunities that others were too timid or too poorly informed to recognize. Buying panic and investing in despair is how the Russian oligarchs becameoligarchs. In the wake of the collapse of the Soviet Union, they looked through the turmoil and assessed the enormous opportunity for profit. They acted on the simplest premise: trouble comes and then, after a while, trouble goes. When the blood was in the streets, they had enough information plus enough intestinal fortitude to act on what they knew. So they bought ultra-cheap and became ultra-rich. They picked up some of the crown jewels of the Russian economy for literally pennies on the dollar and then went on to build fortunes. This is a recurring theme in the history of wealth-building—buy when blood is in the streets. It’s what speculation is all about: exploiting politically caused distortions in the marketplace and betting against the aberrations of mass psychology. If you buy when trouble comes, you’ll profit when trouble goes. And trouble isn’t hard to find. But you need to have the presence of mind to look it in the face and ask yourself just how bad it really is. That’s why I’m writing to you today to introduce you to our valuable new service, Crisis Speculator. Crisis Speculator uncovers the deep-value investment opportunitieswaiting behind the news that frightens away most investors. It’s that frightening news that sometimes makes quality companies so cheap for you to buy. But it’s not enough just to decide you’ll always bet against the crowd. You’d get killed doing that, because sometimes the crowd is right. There are plenty of cheap assets that deserve to be cheap. Sometimes a price falls simply because reality has set in. To speculate successfully, you need facts and a cool head to see when the crowd is overreacting to bad news. We’re looking for investments that are cheap and valuable. Some of our recommendations are shares in solid, multibillion-dollar companies that are way out of favor. Others are stocks in obscure little companies few investors have heard of but are strong enough to ride out a storm. Size doesn’t matter. Industry doesn’t matter for long. But value always matters. We search for deep-value stocks that have been beaten up in the investment marketplace by short-sighted worries or simple folly. I was so thrilled when Doug Casey, my mentor and partner on this timely new service, asked me to be senior editor for Crisis Speculator. For years I’ve been Doug’s globetrotting protégé, and I carried with me a long-held passion for international crisis investing. I’ve lived in Europe and worked in the Middle East, most recently in Beirut and Dubai, for an investment house. I’ve walked ground zero of more than one crisis, and I’ve seen firsthand the enormous opportunities—with huge payoffs—that poke out of the wreckage. I’m also the senior editor at International Man, where I report on offshore banking, second passports, surviving an economic collapse, international trust planning, and geopolitics, among other topics. I’m not telling you all of this to toot my own horn, but to show you that I have an extensive background in international finance and a deep understanding of speculating in crisis markets. And who better to have as my partner in Crisis Speculator than Doug Casey, who literally wrote the book on crisis investing and profiting from turmoil? He’s among the world’s foremost authorities on the topic. Doug has made some of his biggest hits during economic earthquakes… including investing in Hong Kong property during the 1986 China crisis. In a recent talk, Doug told me, “I bought an apartment [in Hong Kong] that I later sold for over 20 times what I paid. That was only possible because people were fearful then. When investors were shunning uranium investments in the 1990s (they acted as though the stocks were radioactive), Doug Casey was one of the few analysts who went against the crowd. At the time, “the other yellow metal” was selling at just $9.50 per pound—a price Doug saw as ultra-cheap and likely to be fleeting. He was right. In the nine years that followed, uranium took a trajectory to the moon, topping out at $136 per pound. Along the way, Doug recommended uranium stocks that radiated profit for his readers, including International Uranium (now Denison Mines) and Paladin Resources, both of which rose more than 2,000%. His book, Crisis Investing, spent 12 weeks straight as the New York Times’#1 best-seller and was the best-selling financial book of the year. Right about the uranium market in the 1990s, the dot-com mania of 2000, the meteoric rise of gold in the early 2000s, the bursting of the housing bubble in 2007, the financial crash in 2008, and the incredible crisis opportunities in Cyprus in 2013. In a recent conversation, Doug told me the new Crisis Speculator is built around the core of his investment philosophy: Speculating in crisis markets is the way to profit from contrarian thinking. Buy when everyone else wants to sell. Sometimes they’ll accept next to nothing. “It can be enormously profitable,” Doug said, “because it means buying on the very, very cheap.” Buy when fear hypnotizes the market. Doug and I will offer you a perspective you won’t find anywhere else—certainly not in the mainstream financial media nor in any other financial newsletter or research publication. Our task is to look past the headlines to find the best investments in the world for your capital. We love bad news, and we gladly pounce on stocks that frighten the markets. So it may be a surprise to you that we see our strategy as safer in the long run than what the mainstream media serve up as conservative investing. By our lights, it’s foolish to invest 100% of your capital in search of a 10% return when you can get the same result by investing just 10% of your capital for a 100% gain. Each month, Doug Casey and I will report to you on the best crisis-born opportunities for that 10% of your capital. We’ll show you the 10-for-1 potential winners we’re finding in the apparent chaos of economic collapse, civil unrest, revolution, war, and geopolitical turmoil. Call us storm chasers. But unlike the pursuers of F5 tornadoes, we’re not in it for the adrenalin. It’s for profit. Just look at today’s geopolitical mess in Ukraine… which has sent investors running for the doors to escape anything to do with Russia… and which has set up Russian stocks—including the two I especially like—to pole-vault to new highs when, inevitably, Ukraine becomes yesterday’s news. One I mentioned earlier, the agricultural powerhouse that owns all that rich farmland in Russia. I’ll share the other one with you now. This Russian gem that Doug and I uncovered started business in Russia in the 1990s and is now a mature, internationally diversified company with good growth prospects both in and outside of Russia. For buyers at today’s stock price, it has the potential for a huge dividend yield. The company has operations in 13 countries (a market of 730 million people), some of which have only begun to adopt the company’s product… meaning rich opportunity for growth. Last year, a drop in earnings and a rise in debt-service costs forced a deep cut in the dividend. That killed the price of the stock, because so few investors bothered to look a little further down the road. We expect the dividend to be fully restored, which will translate into a bonanza yield plus a price pop for investors who buy now, at today’s sorely depressed price. With the current conflict in Ukraine weighing heavily on Russian stocks, now could be the perfect time to buy this booming international telecom company as the market nears its point of maximum pessimism. If a potential investment meets the simple test of making most people, including your close friends, think you’re a bit crazy for even thinking about it, then you might be on to something. Keep digging for more information. Acting on facts that general investor sentiment is overlooking is what being a contrarian is all about. That’s how exceptional profits are made. You shouldn’t buy just because the price has dropped through the floor or just because an investment has become unpopular. Some dangers are real, and sometimes a danger is underestimated. To succeed as a crisis speculator, you need to gather the facts and then weigh them carefully. When you know you’ve measured, weighed, and assessed the problem that’s got the markets so worried, you’ll believe in your thinking strongly enough to buy even when the frightening images on TV have everyone else selling. You’ll be able to look past the scary headlines and the mainstream media’s often shallow stories and profit from the real economic and political forces at work. If market history has taught us anything, it’s that great fortunes are made by buying when fear rules the day. Warren Buffett, Baron Rothschild, Doug Casey all grew rich by wading in when others were running for the hills. 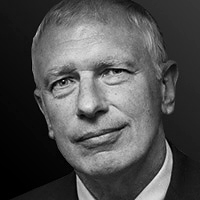 Now you can learn directly from Doug Casey, one of the masters of speculating in crisis markets. He’ll help you turn crisis into opportunity. Crisis investing is all about value. The distortions (often politically caused) in a crisis market give us the opportunity to buy $1 of assets for 10 cents… or sometimes just a few pennies. We want anomalies where the risk/reward ratio is tilted heavily in our favor, much as with gold at $35 per ounce in 1971. While we of course analyze earnings, book value, and other reported and market figures, we give special attention to dividends. Dividends are without question the best single indicator of true value. Reported earnings are far less reliable: they’re too easily pumped up by the right fictions. And book values can be distorted by accounting rules and deliberate stretching of the facts. Also, accounting and reporting standards vary widely across the world. Dividends, on the other hand, are actual cash payments landing in your pocket. They are real, and nothing is easier to measure. It’s astounding what you can get in dividends alone when a market reaches bottom—something a lot of people have forgotten. We’re not looking for markets trading at or near all-time highs… or anything being cheered on by the financial media. We’re watching for markets afflicted with maximum pessimism. And there’s always a bottom-of-the-barrel crisis market somewhere in the world, where we can buy cheap from shell-shocked investors who just want to get out. Take Cyprus in the spring of 2013, for example. The two largest Cypriot banks (Laiki Bank and Bank of Cyprus) had gorged on Greek government bonds, hoping to profit from their higher yields. When those bonds were crushed (yields spiked past 40%) by Greece’s sovereign debt crisis, the capital of the two banks, along with most of their depositors’ money, was wiped out. The Cypriot government couldn’t afford a bailout, and the EU wouldn’t bail out the banks because so much of the deposits were owed to non-EU Russians. In the end, every account holder at the Bank of Cyprus lost 47.5% of his balance above €100,000. Depositors at Laiki Bank lost 100% of everything over €100,000. That messy event destroyed confidence in Cyprus, and a crisis ensued. It’s a good example of a market taking a nosedive as investors flee… which is exactly the right time to start trolling for bargains. Even the rare individuals who knew Cyprus had a stock market knew nothing about how to invest in it or what to buy. And they were too afraid to move—especially when the index for the Cyprus Stock Exchange was down 98% from its peak. But that’s exactly why Cyprus became so attractive for a contrarian. In all crisis markets, everything gets decimated, the good companies and the bad alike. Yet despite the 2013 financial crisis, sound, productive, and well-run businesses listed on the Cyprus Stock Exchange continued to produce earnings and pay dividends. Fear and uncertainty were breeding a remarkable opportunity to pick up the right stocks and other tangible assets at bargain prices. So Doug Casey and I put our boots to the ground in Cyprus to search through the rubble of one of recent history’s bloodiest financial train wrecks. Picking and poking, we found the bargains we were looking for. We found solid companies trading far below their cash value. Most were priced below 50% of book value. And a few could be bought for less than 10% of book value… literally pennies on the dollar. These are companies the disordered Cypriot financial system isn’t going to destroy. Many of them have been around for decades and have survived far greater stress. But you don’t need to take a trip to Cyprus yourself to get the lay of the land. We’ve already done that for you and have carefully identified eight rich opportunities. All eight stocks were covered in the first issue of Crisis Speculator. They’ve already put money into the pockets of early subscribers; the best performer has more than tripled in price. We suspect more profits are coming. Let’s take a closer look at how our Cyprus recommendations have performed so far. …that operates luxurious beachfront hotels in Cyprus, whose stock soared over 240% in the 11 months since our original recommendation. …that’s listed on the Cyprus Stock Exchange and operates in Asia, the Middle East, and Europe. This well-run conglomerate has remained profitable and has paid dividends consistently even during the worst of the turmoil. The stock rose more than 130% in the 11 months since our original recommendation. …that exports lighting fixtures and lamps to 30 countries and operates 7 profitable outlets in Cyprus. Its stock jumped over 90% in the 11 months since our first recommendation. These are just a few examples of the types of winners we’ll bring to you inCrisis Speculator. In short, our decision to speculate in the crisis market of Cyprus has succeeded richly. It’s not too late to profit from the trouble in Cyprus. There still are bargains in Cyprus that you’ll learn about when you start reading Crisis Speculator. Here’s what’s driving them. We identified three catalysts that eventually should pull Cyprus out of the extreme pessimism that prevailed after the country’s March 2013 banking crisis. They were: 1) a lifting of capital controls; 2) movement toward exploiting offshore gas deposits; and 3) a relisting of the largest and most actively traded issue on the local stock exchange. Recently catalyst #3 was triggered. Now #1 and #2 are getting closer, and when they happen, the Cyprus market will take off, and the stocks we’ve identified should be the biggest winners. 99% of the viewers of television news would rate Kurdistan as one of the most dangerous places in the world. Hardly a place to send your money. But we’ve identified a solid company that operates in Kurdistan and is positioned to thrive despite the bloody mess that is happening in the rest of Iraq. We also have Cuba on our radar, where there is money to be made from the rapprochement with the US. And then there’s Argentina, which is on the verge of another political and economic breakdown. Assets there are already cheap, but some of them are about to get a lot cheaper. As a subscriber to Crisis Speculator, you’ll know when it’s the right time to buy the deep-discount bargains that Argentina’s dysfunctional political system is getting ready to hand you. Doug and I spent months together preparing for Crisis Speculator. I can’t emphasize enough how fortunate I feel to have Doug Casey contributing to this exciting new service. His decades of experience with crisis investing bring a level of expertise you won’t find anywhere else. Month by month (with special alerts as needed), you’ll be introduced to the best deep-value investment opportunities worldwide—investment ideas you can act on through almost any brokerage account. So that you can reach the enormous gains this exciting new service can bring you, Doug Casey and I are extending to you a special limited-time offer for Crisis Speculator. Other, far more mainstream stock market reports don’t blush at asking you to pay as much as $995 just to take a look, and some go even higher. But our special introductory rate for Crisis Speculator isn’t anywhere near that amount. If you sign up right now, you’ll lock in the special introductory rate of just $199 for one year of our blockbuster new service. That’s only about $16.50 per month… about what you’d pay for an apple a day, but for a service that will bring you the biggest crisis opportunities available in the world and show you how to invest in them. An excellent deal, I think you’ll agree. Just one of our picks could hand you enough profit to cover the small subscription price toCrisis Speculator several times over. As a thank-you for giving our exciting new service a try, I’ll give you a free, exclusive BONUS video interview with Doug Casey that reveals the essentials for a successful crisis investment—the kind of opportunities we’ll be sending you in Crisis Speculator. It’s a fact of life that the best opportunities come when everyone else is afraid to buy… when “blood is running in the streets.” Only facts and clear analysis can give you the courage to seize the bargains that others just don’t want to think about. 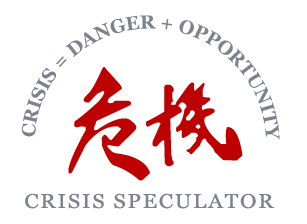 Every month at Crisis Speculator, we’ll deliver right to your inbox full, detailed, actionable investment research on the very best of the crisis opportunities… opportunities that are begging for a bid… investments you can buy on the ultra-cheap. In every issue, we’ll not only tell you about the hottest crisis investments opportunities worldwide, we’ll tell you when it’s time to buy them and when it’s time to sell for maximum profit. As an active subscriber, you also get unlimited access to every past issue of Crisis Speculator and every special report… including our exclusive video interview with Doug Casey on speculating in crisis markets and his all-time best list of crisis investments. …to the Crisis Speculator’s portfolio of investment recommendations… including step-by-step instructions on how to access them. When you accept this invitation to start a trial subscription toCrisis Speculator, you’ll get immediate access to this month’s issue and the crisis opportunities it’s bringing to subscribers. Enjoy a No-Risk 90-Day Trial Offer to Crisis Speculator. Try our new service for 90 days. Even if you wait until Day 90 to say “No thanks,” we’ll promptly refund everything you’ve paid. And we’ll invite you to keep all the editions ofCrisis Speculator you received, as our thank-you for giving our new service a try. It’s easy for us to make that offer because we know we are going to deliver real value. I think you’ll agree that’s a fair deal—and with the 100% money-back guarantee, a no-risk deal at that. So if you’re serious about exploiting the huge moneymaking potential available to you with Crisis Speculator, take action immediately… because the special introductory rate of $199 for a one-year subscription is here for you now… but not for long. Join us on what we expect to be a most profitable financial adventure. Given the context and the deadlock between Greece PM and the troïka, it is possible that stock exchange will suffer substantial losses starting on tomorrow, even in France. 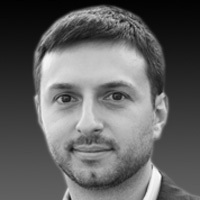 Please find in the following link the analysis of the IMF former managing director Dominique Strauss Khan (DSK) on the Greece issue. The document is available both in english and in french. Banking 14: Fed funds rate: How open market operations effect the rate at which banks lend to each other overnight. Banking 15: More on the Fed funds rate: More on the mechanics of the Federal Funds rate and how it increases the money supply. Quant aux échanges internationaux, ils sont au centre de l’affaire Clearstream et concernent des entités financières évoluant dans différents pays, relevant de différents droits nationaux, notamment fiscaux et successoraux. Je ne vais me perdre dans ce genre de considérations et rentrer trop dans les détails, d’autant que j’en serais incapable, mais je suis maintenant intimement convaincu que les lire les ouvrages du journaliste Denis Robert me permettra de mieux comprendre ces mécanismes des chambres de compensation interbancaires, et des chambres de compensations internationales.